BWA were again happy to support In Vogue 2-Story Designs by donating toward the stair and balcony balustrade for the Telethon Home. The statement piece for this home is seen as soon as you walk in the door. The striking spine staircase with timber treads was further enhanced by BWA’s planar glass balustrade with matt black fittings & handrail. On the balcony, BWA Stirrup mount glass with 50 dia handrail, also in matt black. 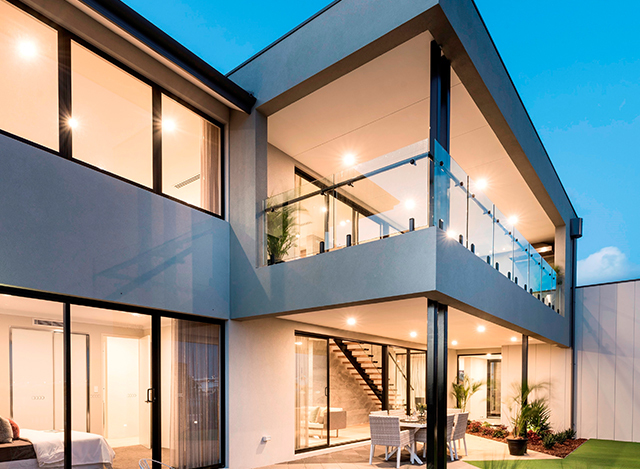 We look forward to seeing what the Residential Building WA team have in store for 2018.